Is it possible to make money through Amazon in 2018? 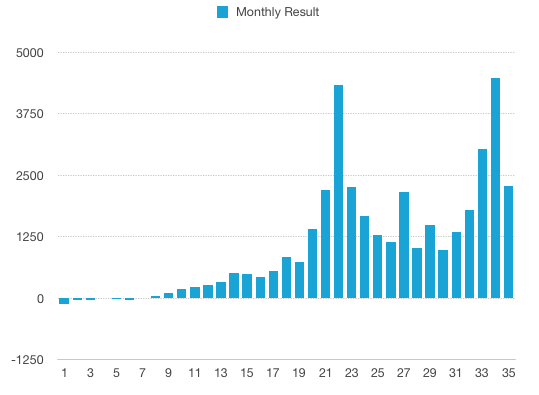 A transparent case study where we share the real numbers from a WordPress site. It’s hard to believe but the site is almost 3 years old. If you want a peek at last year’s stats you can find that the case study site 2017 update here. I’ve gotten the question more than once why I choose to share these numbers. 1. To give you insight into what it can look like to run a WordPress site. I share ups and downs and everything in between. These are my numbers and they might be totally different for you, but it will at least give you an idea of what it can look like. Looking at last year making $22,640.40 with the site, I’m very optimistic for 2018 and what it can bring. 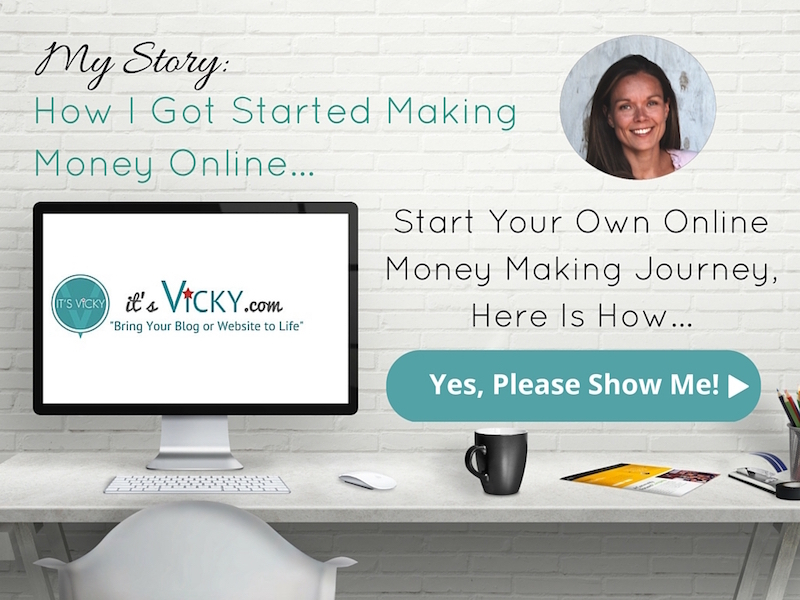 Hard to believe that it all started with a $4 commission lol, you can read how I got started with affiliate marketing here. 2. To keep me accountable. 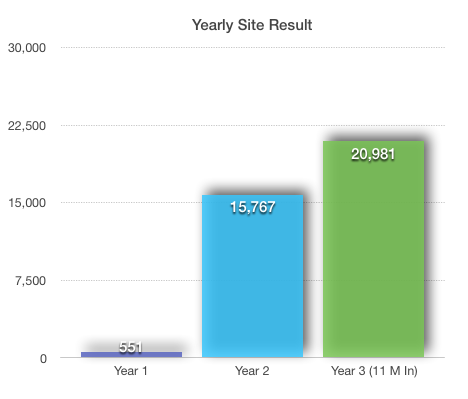 Each month I summarize the numbers and stats which gives me a great overlook of the performance of the site. It’s easy to just go along with your site, keep doing what you’re doing without taking the time to look at and analyze your stats. By doing these monthly updates I keep myself accountable, I go through my stats and numbers on a regular basis. The site is 2 years and 11 months old. It’s in the health niche. Starting out I monetized with Amazon only now I have added another affiliate program. Most content is outsourced, I want the site to be pretty hands off. As expected traffic is down some from December 2017. The holiday season really does give a bump in both traffic and earnings. It will be interesting to see going forward how the traffic numbers will hold up. Last year a lot of the sub-niches where winter month related. 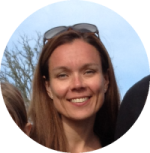 Lately, I’ve tried to introduce sub-niches that are relevant all year around. We’ll see how that plans out going forward. I’m pleased to see that the avg. time on page is pretty consistent it means that my visitors are staying and reading the provided content. Content creation and rankings are very important to this site since almost 90% of the traffic is coming from organic listings, posts and pages ranking naturally in Google, Yahoo and Bing. Let’s look at what kind of content is ranking and bringing in the traffic for this site. These are the types of posts that generate the most traffic for the site. It’s safe to say that lists are ranking very well for the site and bring in a lot of the traffic. Clear, easy to read design. Show the visitor a good place to purchase the item best suited for them if it is a product related post. In January I had one of my writers move on but found another great writer. Going forward I will be trying to submit even more informative, longer and more in-depth content for my readers. 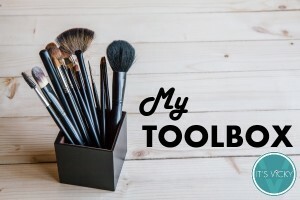 To be able to include product images and a great place to purchase I use EasyAzon a WordPress plugin that saves me a lot of time. With this plugin, I can insert links, images and call to action phrases even correct prices directly from my post or page. Truly a timesaver that helps me maximize earnings. 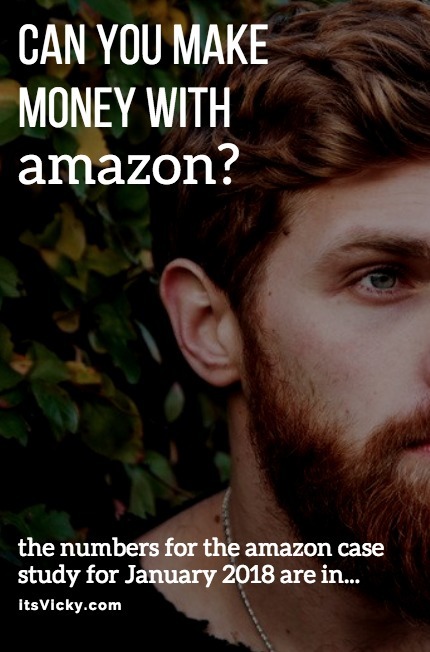 If you monetize with Amazon, take a look at the EasyAzon plugin and see if it can help you. 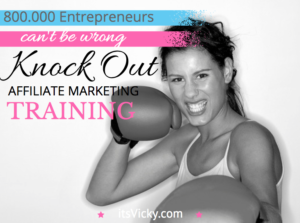 What can be expected if you provide good content on a consistent basis? Let’s look at the rankings. Since ranking in the search engines brings in the majority of the traffic for this site I want to keep an eye on the rankings. Make sure that we are on the right track with that. Things will go up and down, there will be changes to algorithms and rankings so what I want to see is an overall growth. To get a quick view and overall picture of the rankings I use SemRush, a great tool for rankings, keywords and other important data for an online business. Although traffic was down some from December, I’m still hoping that the rankings are improving. 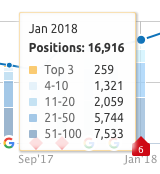 We see a good growth but what I’m most excited about is the top 3 positions in Google that grew from 228 in December to 259 in January. Having your post show in the top 3 positions is definitely the main goal, those are the links and posts that get clicked the most. Good ranking growth for the month of January. Will that show in the income numbers? The first month of 2018 and online shopping is slowing down from the busy holiday shopping in November and December. How will that affect the numbers of this case study? 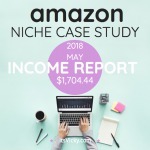 Can you make money through Amazon? Let’s look at the numbers and see. In the past, I’ve added all the Amazon commission from the different countries together. It’s taken some time to see sales from Canada and the UK. It’s nothing that I’ve spent any time on, these international listings have simply happened naturally. Going forward I will be showing the numbers for each country individually including the US, UK, and Canada. Based on that result I would say yes, you can make money through Amazon! I like to be able to compare this project with other projects, to be able to do that I calculate $ per thousand visitors. By doing this we can get an accurate number to compare. Let’s see what we get in January. We barely beat last year’s number, a little disappointing that we didn’t see more growth. 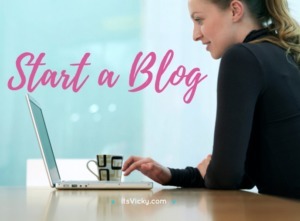 Like I mentioned before traffic is growing but how do I make sure that traffic is converting into sales… definitely, something to spend some time trying to figure out. The Amazon commission change could play a roll in this along with me promoting product’s that are low-ticket items. January 2017 I had 795 sold items this year 964, so we do see a good growth with items sold. I think it’s safe to say that going forward I need to research and promote more high-ticket items. Total earnings for 2017 ended at $22,640.40. 2018 What Can We Look Forward to? I’m excited to have found another great writer for my writing team. So far he has delivered great content that I’m very pleased with. My goal for 2018 is to eventually submit daily content to the site. The site is right now on HTTP, I will at some point this year move it to HTTPS, to make it SSL secure. I didn’t want to mess with the site too much over the holiday months, but that is definitely something that I need to get done in 2018. Work closer with businesses, this is an avenue that I want to explore more. 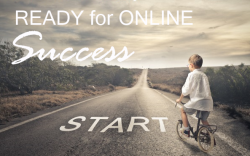 Offering a service on the site for businesses that would be truly helpful for them and generate an extra income stream for the site is something that I’m looking into. You can follow the 2018 progress here on our case study site listing. Don’t miss the exciting journey of this site, 2018 should be really good! 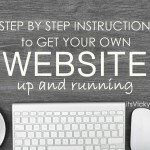 Are you ready to get started with your own blog or website? Check out the beginners guide here. As you can see it is possible to make money through Amazon. Feel free to share your thoughts in the comment section below, I love hearing from you! I’d like to ask if you’ve considered using ad display network on this niche site. 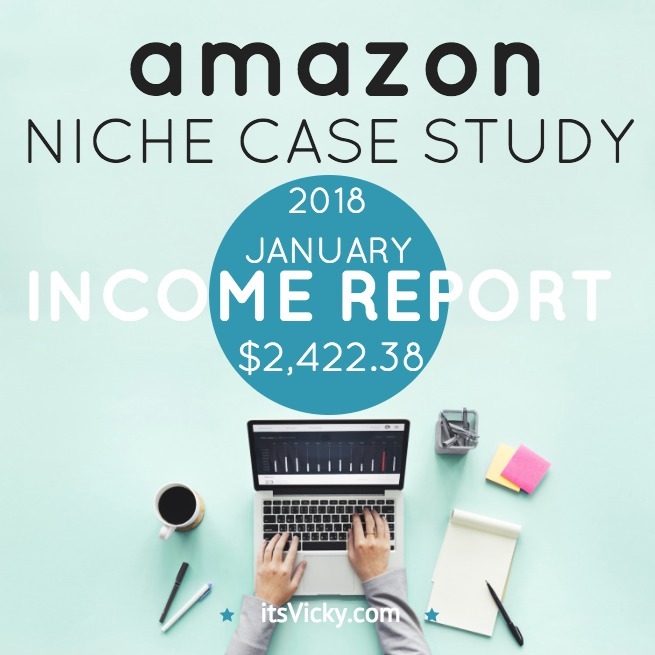 I’ve read some interesting case study from other bloggers where the income from such ads placement can be quite significant (around $20 per thousands of viewers?). Do you intend to use it to further monetize your site? I know it still annoys me the commission update 🙂 I had about 12K more in revenue so yes the growth was better than what the income number shows. Thanks for another insightful and motivating share about your case study side. Every month you mention, “list building $5”. Can you share more details about it please? Sure I use Aweber to build my list to collect emails. Right now I don’t send out anything on a regular basis but when there is something interesting coming up I do. I also used the list service when I did the giveaway to collect the emails.